Taiwanese cosplayer Ma You Rong is getting slammed by the local cosplay community in Taiwan specifically for her Hestia Cosplay which is garnering a lot of attention. 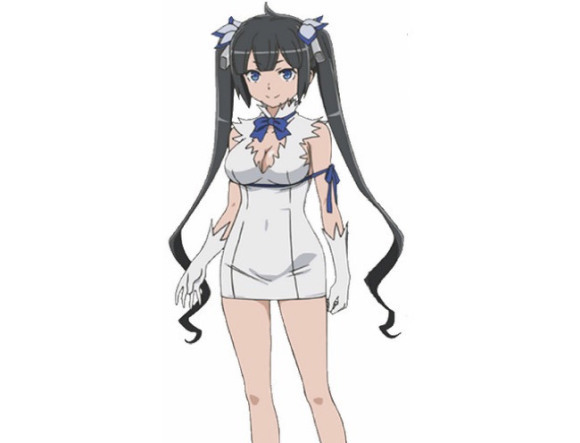 Hestia is one of the popular characters from the series Danmachi or Is It Wrong to Try to Pick Up Girls in a Dungeon? The character made waves in the past after creating a fashion trend among Japanese women who tie ribbons below their breast. Of course since this is anime it’s a no-brainer that women of all shapes and sizes would jump on the opportunity to cosplay as such; including Ma You Rong. Here are some of her photos lifted from her Facebook page. Mind you the images you are about to see could be seen as borderline NSFW so be warned. So going back to the main point of this post, this Hestia cosplayer is receiving negative comments from fans due to a neglected detail – imperfect cosplay. Yes that’s right. You’d think conservatives would be burning torches and sharpening their pitchforks for one thing or another but its really more because her Hestia cosplay was incomplete. Some of the comments she’s received include “No gloves? Are you kidding?” “Use a wig for god’s sake,” and “You’re wearing the ribbon all wrong” among many others. So does have a point and we here at WAG laugh hard at the reason for the hatred. ← Martin Freeman joins Captain America: Civil War cast! Martin Freeman joins Captain America: Civil War cast!